Jeremy Scott will present the latest fragrance by Moschino “TOY” with a personal appearance at Harrods’ Black Hall, in London, on Thursday 13th November 2014 from 12.30pm to 2.00pm. 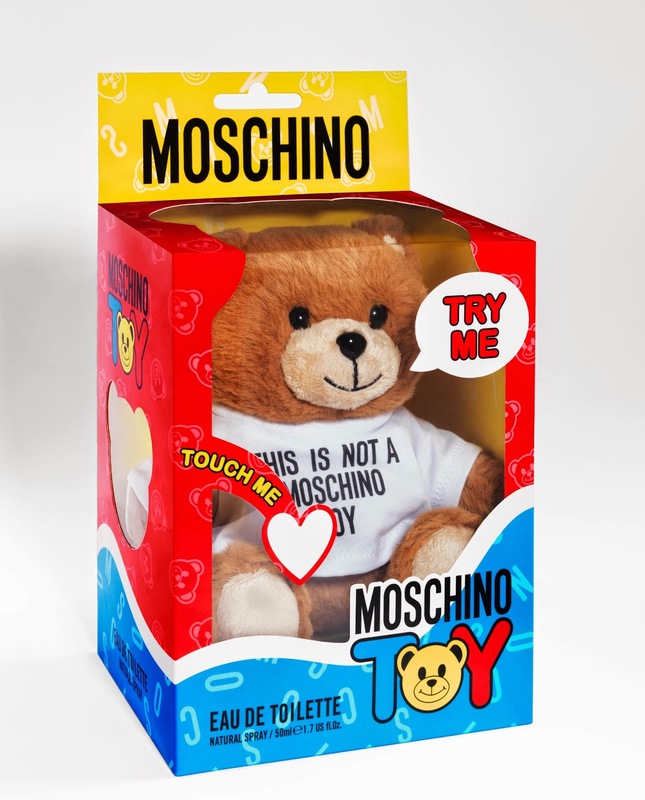 From the depths of the wild, stuffed animal kingdom comes TOY, Moschino’s latest fragrance. Conceived by Moschino Creative Director Jeremy Scott, TOY smashes every fragrance preconception to bits, boldly redrawing its form, function and fabulousness. The fragrance is exactly what its cheeky name suggests: a toy. And best of all, this actual toy is a real, fuzzy-faced teddy bear to hug and snuggle up with whenever you choose. Screw off its happy faced head and you magically find an atomizer built into the bear’s soft body. Spritz away and then set TOY back down on your vanity table, or toss him on your bedspread with your other furry stuffed animals. He is housed inside what a realistic toy package would be, replete with clear plastic viewing window, bubble writing instructions to “Try Me” or “Touch Me” and the exact same back flap and hanging hook that are used to hang toy packages in every store around the globe. The fragrance itself features the scents of mandarin, cardamom, and bergamot; and a heart of lavender, violet petals, and hawthorn. Its finish of sandal wood, vanilla, mountain tree moss and acacia hit the woodsy notes that nod to this bear’s forest home. Undeniably humorous, laced with wit and packed with fun, TOY is also revolutionary as a product launch. It offers as a completely innovative way to package, show, and sell fragrance. Most importantly, it represents another step in Jeremy Scott’s high-voltage journey at the House of Moschino, returning the brand to the spirited heights from which it was born. TOY launches exclusively at Harrods in London from November 9th-23rd as well as being available at moschino.com. The fragrance will then roll out to department stores and Moschino retail boutiques throughout the world. 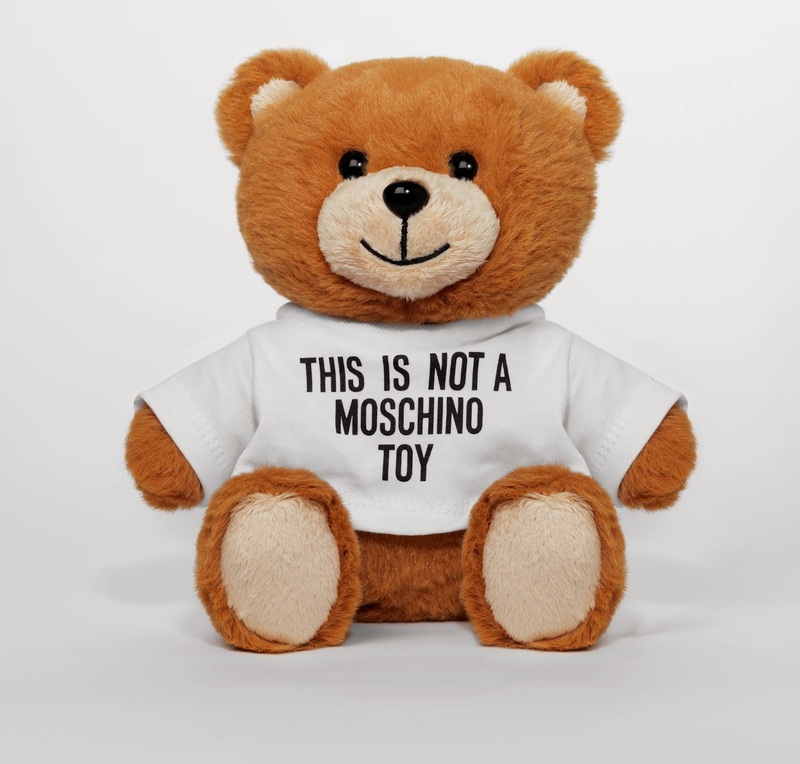 Learn more about the Moschino Toy fragrance.